As an health integration software company, Wraptor has been a specialist in flow management since 1998 around its Jeebop platform. Jeebop was very successful in hospitals and clinics, and quickly integrated the IHE protocols (HL7, HPRIM, …). The ASIP has approved Jeebop DMP compatible for DMP creation and sending profiles in indirect authentication in 2011. 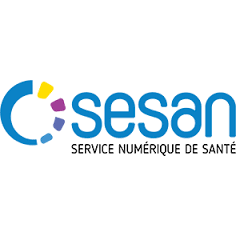 To ensure health safe exchanges, Jeebop has a connector for MSSanté, secured health messaging, in collaboration with ASIP. Since 2013, Jeebop integrates data from biomedical devices into the information system. We ensure interoperability, supervision and data security among all actors in the healthcare system. to transform the gray matter into software. to satisfy our customers needs. to help you to make the best choice.